My PhD Thesis on point of care ultra-sensitive diagnostics on a cell phone! 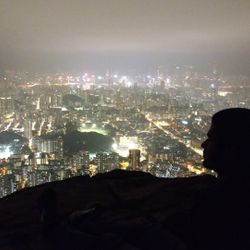 My favorite spot in Hong Kong - Lion Rock. Just began traveling recently and love it! 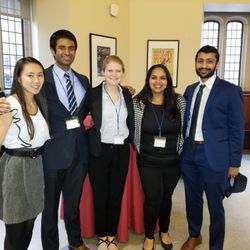 As a fifth year Bioengineering PhD candidate at University of Pennsylvania in the Issadore Lab, I work at the interface of biomedical and electrical engineering to fabricate microfluidic devices for point of care diagnostics. My goal is to invent microchip-based tools that enable accessibility to medical diagnostics in resource poor settings. I build microchip devices that eliminate the need for a complete lab facility, and instead combine optofluidics with microelectronics to transform specialized lab tests into practical, inexpensive procedures in remote areas and small clinics. 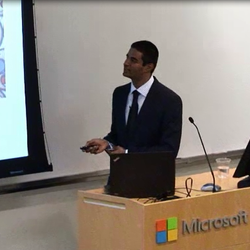 I was fortunate enough to receive a Microsoft PhD Fellowship, and our work is currently being spunoff into a startup Chip Diagnostics funded by IP Group. I am also interested in the business end of scientific translation and am actively involved in Penn's Center for Innovation and was a part of the Silicon Valley Bank Trek 2017. Check out my News Highlights to catch up with publications, presentations, awards, and other milestones in my career. The Work Experience section displays the extensive opportunities I have immersed myself in ever since I was a junior in high school. In addition to my professional life, I have outside interests listed under Personal Interests from tech transfer, running, learning music, biotech venture capital, etc. Some of my personal interests evolved a lot in my third/fourth year and have decided to start several blogs sharing my thoughts on topics outside of science since I try to be an early adopter of new tech. If you have any questions or need clarifications, feel free to contact me. Wanted to run a sub 3:30 marathon before my defense. Ran a self-timed one and almost had it but crashed at end womp womp. Still proud of beating my PR by 35 min from the first marathon! Celebrating my PI Dave's tenure! Lab has grown a lot since we first started. Decided to start cooking more and will be starting a Food Blog. Just a bunch of pics for now, but will one day add recipes and learn how to take pics for blogs! Our manuscript "Mobile Platform for Rapid Sub pg/mL, Multiplexed, Digital Droplet Detection of Proteins" has been published in PNAS!!!! Finally starting to pursue one of my childhood dreams of creating video games! Beginning by learning Unity framework and ROM hacks to understand basics - really excited! Heading out to Taiwan for Microtas 2018! Giving two talks, and participating in the Shark Tank - curious to see differences in Asian microfluidic industry/research. After much consideration, excited to join McKinsey Boston next year! Looking forward to learn a completely new skill set for my career goals. Presented my work and received a distinguished poster award at the Liquid Biopsy Gordon Conference at Mt. Holyoke! The EMBL conference was great, and Germany was amazing! Wrote a blog about my adventures during my time there! Heading out to Heidelberg, Germany to present at EMBL Microfluidics 2018! First time in Germany - excited!! Heading out to Chicago for McKinsey's Insight 2018 STEM + Healthcare! Completed the annual dissertation committee meeting! Next step: PhD thesis defense! Presenting digital ELISA results at NEBEC conference, and learned a lot at my first case competition at PGCC. A busy weekend! New PR on the Love Run Half Marathon with 7:17 min/mi pace (life goal achieved! ); ~3 years of piano and the Halo Theme; and building a functional Opioid Overdose alert system at the Rothberg Catalyzer! Went to Final Fantasy Distant Worlds last month with composers Nobuo Uematsu/Yoko Shimomura in attendance! Got inspired, played Somnus on Piano. Also thought the Westworld cover of Runaway during the Superbowl was amazing, so tried playing it! 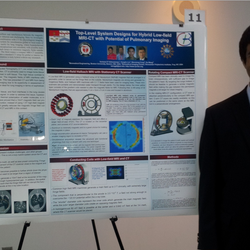 Won best talk and best poster at Bioengineering Annual Symposium! Traveled to London, Paris, and Belgium over winter break! New Travel blog post accordingly. IEEE Proceedings on multicolor droplet detection was just published! And more crypto/investing thoughts while I wait at the airport. Finished my first marathon and explored Hong Kong over Thanksgiving! Another unnecessarily long blog post on the trip. 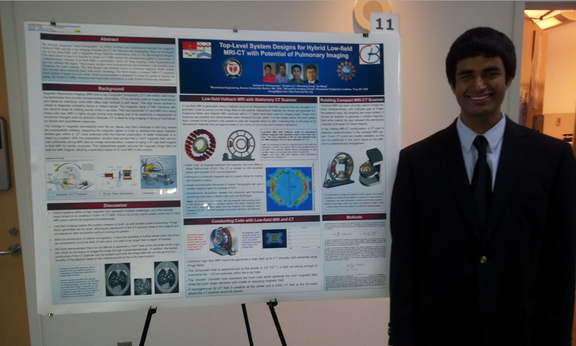 Accepted as a Finalist for the IEEE HI-POCT Student Award Competition. Submitted a 4-page contribution to IEEE HI-POCT Conference- fingers crossed! Signed up for my first marathon! Had to Uber back after mi 16 today, so let's see hope I improve in 2.5 mo for the Philly Marathon! Presented my droplet work at the Microfluidics Congress Conference, and won the Microfluidics poster contest! Got interested into cryptocurrency but realized I don't really know anything about it... writing my experiences with the emerging tech in Medium. Had an amazing time at the Gordon Conference and travelling Italy! Decided to write a blog to remember this great experience. Heading out to Italy for the Gordon Conference Microfluidics in Lucca, Tuscany! Won first place at Penn iTalks and got the $500 Judge's Favorite Award! Check out my talk here. Heading out in the blizzard to give a talk on my latest work at SelectBio's Bioengineering 2017 Conference in Boston! Chip Diagnostics, a company spun out of our lab, has received a second round of funding from the IP Group! 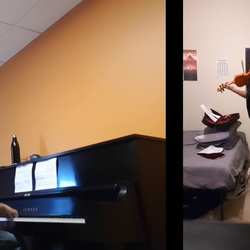 It's been two years since I began teaching myself piano and I somehow haven't quit! Check out my "progress" (I hope) if you are interested. 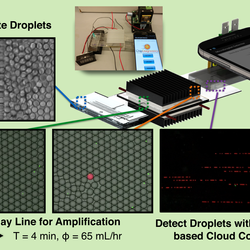 Our paper on ultra-high throughput droplet detection on a cell phone based system was published on Lab on a Chip! Had an amazing time at San Francisco participating in the SVBTrek - a four day event hosted by Silicon Valley Bank where we met VCs, partners, entrepreneurs and the great minds driving change in the startup world.